The location is in the center of Tbilisi. 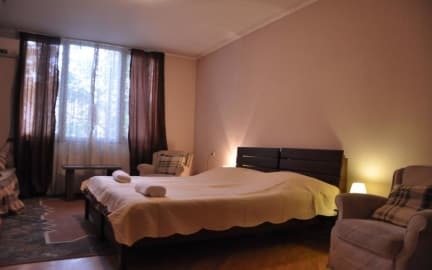 5 min walk from Rustaveli Metro station, bus station. 10 min walk from Opera house, restaurants and bars. 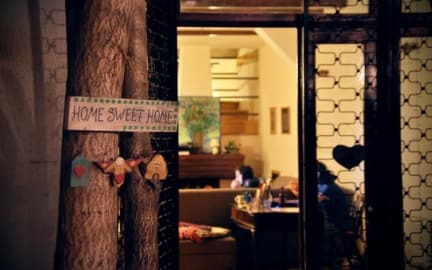 As we are few steps away from Rustaveli Aven you can easily find a lot to have fun. The Fox Hostel has 5 bedrooms with private bathrooms and air-conditioning (central-heating as well). We have 2 balconies, one is bigger and a good place to relax and chill. Another one is next to Double-room. Fox has a yard as well where you can park your bikes or motorbikes. Please write us your arrival time in advance, as we have different policies for early check-in. Children using extra bed has to pay.